That's right, #TCTheater friends, music-theater's favorite founding father has finally arrived in Minneapolis, along with all of this friends. Three years after opening on Broadway and becoming the biggest theater sensation in years, maybe even decades, the second national tour is playing at the Opheum Theatre for a six-week run. I'm lucky enough to have seen it four times now, and it's still just as epic and thrilling, if not quite as mind-blowing as the first time. 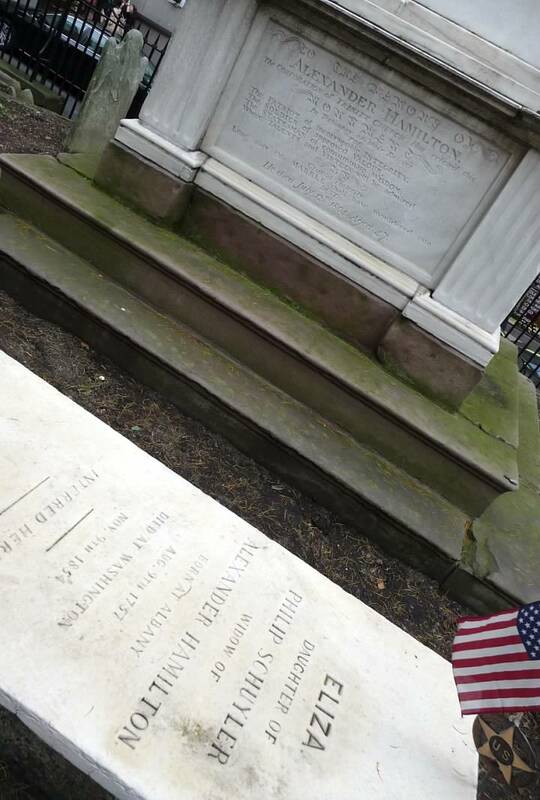 Hamilton is the rare thing that not only lives up to the hype, it exceeds it. In fact it's not really about the hype at all, the "all the cool people are seeing Hamilton so I guess I should see it too." 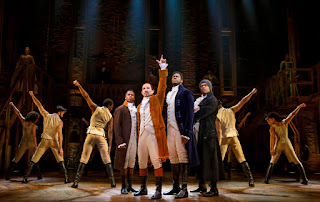 You shouldn't go see Hamilton so you can impress your friends and neighbors, you should go see Hamilton because it's the quintessential American story told through the quintessential American art form - musical theater. It's one of those ground-breaking milestone events in the history of theater that has forever changed it. And it's also three jam-packed hours of music, dance, stories, entertainment, and inspiration. If you don't already have your tickets don't despair (and DO NOT buy tickets from third-party sellers!). There are tickets still available through the official channels, and you can enter a daily lottery in which 40 lucky people win the chance to buy tickets for $10 (click here for all the info). I don't think I need to try to convince anyone to go see it, or tell you how incredibly amazing it is. You already know that, the rest is up to you. 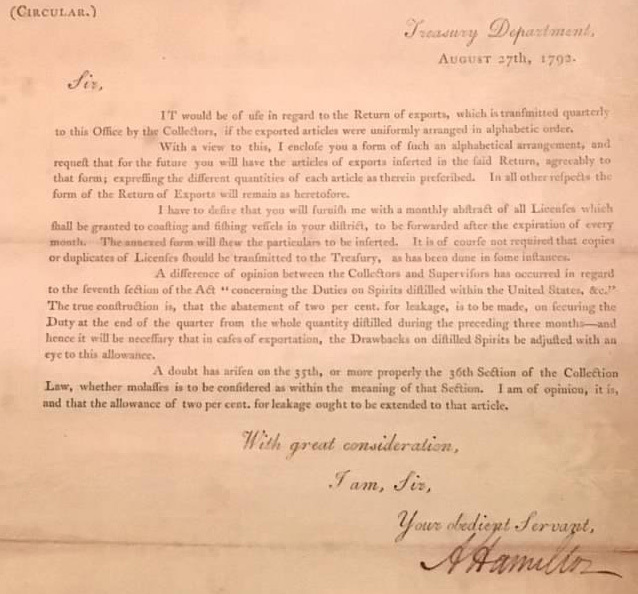 Inspired by Ron Chernow's 800-page biography of the first Secretary of the Treasury, Lin-Manuel Miranda (aka LMM) wrote the music, book, and lyrics of Hamilton. As if that trifecta accomplishment wasn't enough, he also played the title role in the original Broadway cast. 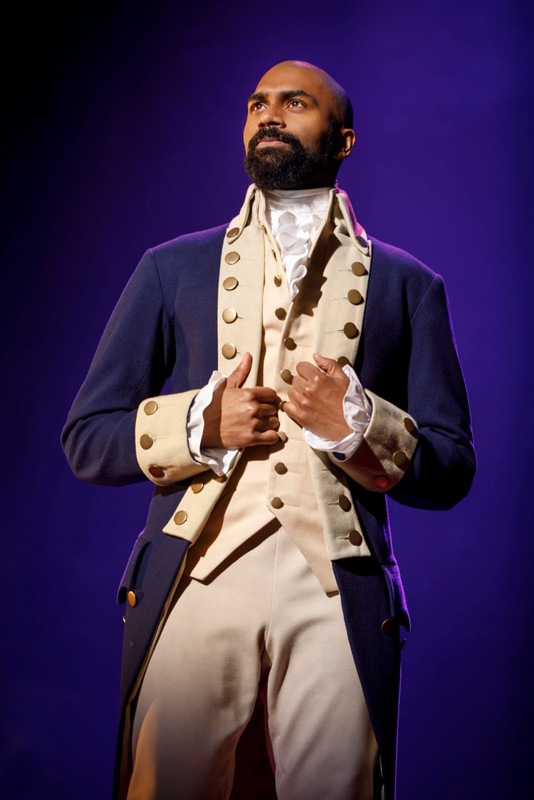 He takes us through Hamilton's life, from growing up poor on a small Caribbean island, through his role in the Revolutionary War and the founding of this country, through personal struggles and tragedies, and finally to (spoiler alert) his death in a duel at the hands of his rival Aaron Burr. In LMM's genius, he's made this nearly 250-year old story feel fresh, modern, and relevant. He makes the founding fathers seem like real people, with flaws and all, not just dry and boring figures in a history book. I love what Oskar Eustis,* the Artistic Director of the Public Theater, says about LMM, that like Shakespeare, he elevated and ennobled the language of the people. Maybe that's part of the reason for the popularity, that the characters in Hamilton speak, act, love, grieve, rage, live like we do. Because after all, the founding fathers were just people too. Hamilton is incredibly dense, in words (more than twice as many as most musicals) and themes (freedom, identity, legacy, adultery, war, loyalty), so that four times isn't even enough to catch everything. Songs range from rapid rap battles, to uptempo hip-hop songs, to lovely ballads. The musical themes are as intricate and complex as are the lyrics (with some references to musical theater - LMM is a composer who loves musicals). The piece is almost entirely sung through, with little spoken dialogue. There is constant movement onstage, thanks to Thomas Kail's Tony-winning direction, Andy Blankenbuehler's Tony-winning choreography (performed with precision by this fab ensemble, more on them later), and the rotating concentric circles on the stage. Yet the busyness and movement is nicely balanced by quiet character moments in this nearly perfectly constructed musical. Another piece of LMM's brilliance is the casting of this 18th Century story, not in a way that's historically accurate but in a way that represents the America of today, with all of its beautiful diversity. This is color conscious casting done right, in which telling this story with intentional and thoughtful diversity broadens it and makes it more inclusive, as America should be. 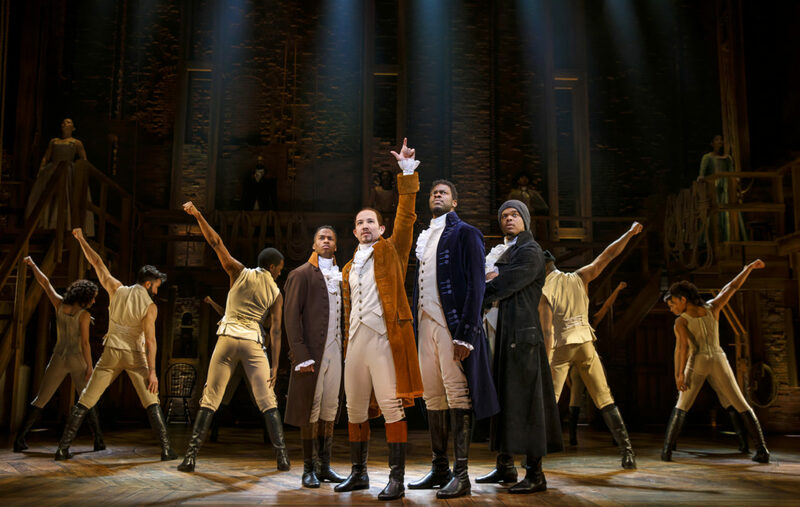 A world in which Alexander Hamilton is a Latino man, George Washington is an Asian-American man, and Thomas Jefferson is a black man totally makes sense. Although note they're all still men; I'd love to see a Hamilton cast that mixes up the gender a bit, so that women aren't relegated to the role of wife, supporter, seductress (although by the end we see how important those roles are). This kind of casting allows all Americans to see themselves in this important American story. 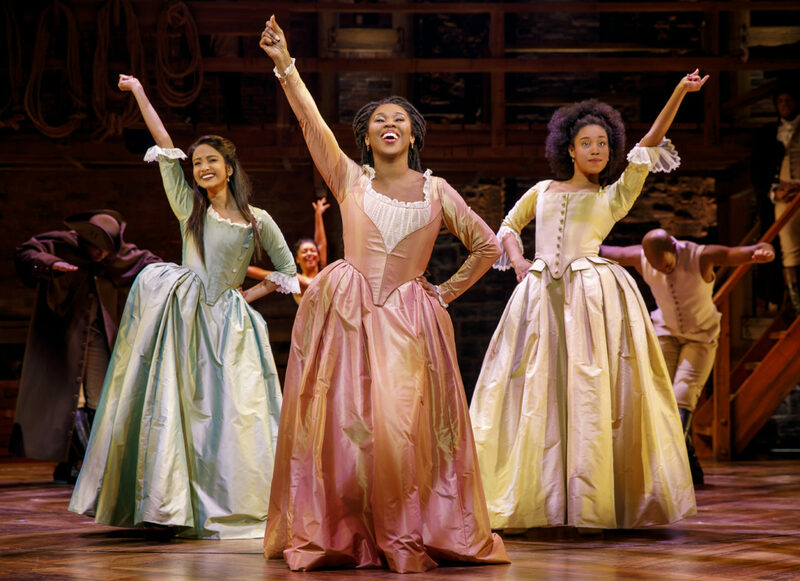 Speaking of casting, my Hamilton buddy says that this cast is the most consistently great since the original Broadway cast. My memory isn't good enough to really judge that, but I do agree that this is an all-around fantastic cast. And most of them manage to make these now iconic roles (for which several of the originators won Tonys) their own. For me, the star of this cast is Nik Walker as Aaron Burr. In many ways this is Burr's story, even though his name isn't in the title. He's the one that survives to tell the story, he's the one that provides much of the narration and commentary along the way. Nik is a Burr unlike any I've seen before. He brings a bit more playfulness and humor to the role, but still has that desperation to be in "the room where it happens." The way Nik delivers his lines is so natural and effortless, almost casual, but with meaning behind every word (and every great face he makes). 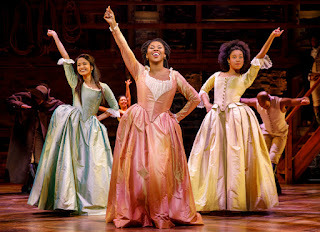 Other highlights in the cast include Joseph Morales in the title role, a strong and sympathetic Hamilton; Shoba Narayan as the sweet Eliza; Ta'rea Campbell (last seen at the Opheum as the star of Sister Act) as Angelica, with a fabulous earthy voice; Marcus Choi as our noble first president; Kyle Scatliffe, Desmond Sean Ellington, and Elijah Malcomb as Hamilton's first act buddies and second act adversaries/son; Nyla Sostre as the third Schuyler sister and woman Ham can't say no to (I'll tell you how to say no to that: it starts with an N and ends with an O); and last but not least, Jon Patrick Walker with a totally unique, ridiculous, and hilarious characterization of good old King George. They're surrounded by a terrifically talented and hard-working ensemble playing multiple roles and performing the super cool choreography (all while dressed in chic modern-retro costumes, natch). I sometimes speak of a "post-Hamilton world," by which I mostly mean the shining example of color conscious casting, but could also refer to the great heights of achievement possible in music-theater, my favorite art form. It's no longer acceptable to sloppily adapt a hit movie to make a hit musical, or to have a stage full of white people. Because Hamilton shows us that theater can and should be better than that. And at a time when it seems to many of us that America has lost its way, that we can't even recognize America anymore, it's a wonderful thing to be reminded of what America was, is, and should be. A place where everybody has a voice, where everybody's story gets to be told, where diverse people join together for freedom, justice, equality, and music! 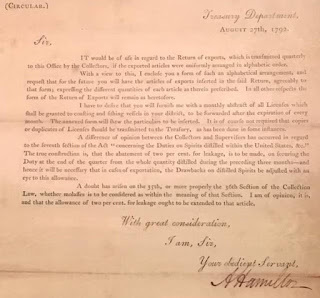 Of course our founding fathers didn't think of it quite like that (e.g., slavery); in many ways Hamilton imagines an even better beginning to this country, one that takes into account the struggles of the last 200+ years to get to a more glorious place than the founding fathers could even imagine. And at the same time, inspires us to continue the march towards freedom, justice, and equality for all. 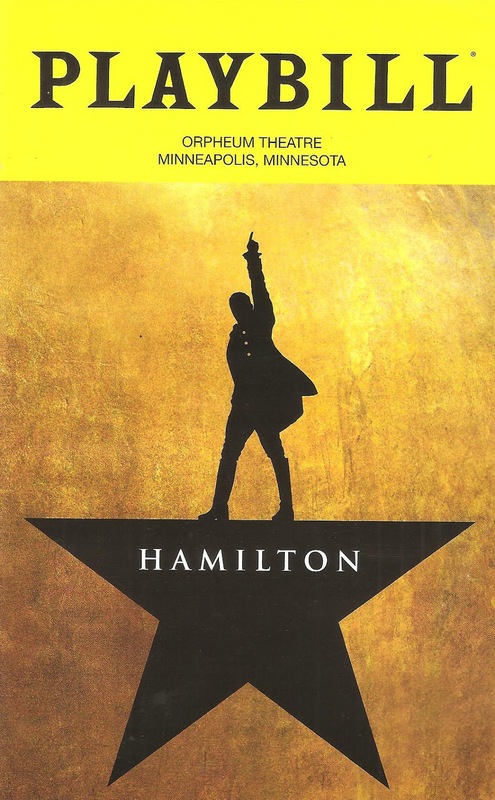 Hamilton continues in Minneapolis through October 7, before it moves on to the next stop on the tour. For more on Hamilton, check out the three-part series by my charmingly obsessed friends at Minnesota Theater Love. *Oskar Eustis will be appearing at Mixed Blood Theatre for a conversation in February as part of their "Zealous Hellions" series.